Maybe it’s the changing of the seasons. Maybe it’s the inevitability of the rapidly evolving world we live in. But, each year, I spend a good amount of time with colleagues thinking about how the major economic, sociological, technological, and cultural trends we are experiencing will impact us, our leaders, our employees, and HR professionals in the coming year. We like to explore multiple topics, always looking at issues through the lens of putting people first. Through these discussions, we extend and expand the ideas until we see emerging patterns everywhere we look. The value of analogous fields is never lost in this process, as we gather innovative and nascent solutions to the problems posed by these trends in unexpected industries and contexts. Throughout 2018, our team focused on artificial intelligence, in particular “People First” AI, hyper-personalization and its necessity in leadership, and humanizing work with breakthrough diversity and inclusion initiatives. The growing research and attention paid to these topics by organizations globally has certainly advanced our understanding of these trends and has brought new solutions to the market from Ultimate Software and others. So, we turn now to what 2019 will bring us. The three mega trends below are not brand-new concepts, but they will take on a critical urgency in 2019 due to a convergence of technological, economic, and socio-cultural factors. With the dizzying pace of change and the mind-blowing exponential growth of data and technology available to us showing no signs of letting up, we are all facing new levels of overload. The impact of this overload is manifesting itself in unanticipated ways. Our emotional, social, and physical well-being at work is directly impacted by the stressors associated with overload, and organizations will struggle to help employees cope and, more importantly, thrive in such environments without a new approach. Far beyond wellness programs, organizations will have to explore creative new workspace concepts, design work with overall employee well-being in mind, and offer transformative technologies to help monitor and change employee behavior. In addition, the work of inclusion and belonging will take on even greater importance for business success. The Fourth Industrial Revolution is upon us. Yet, when we bring it up and read about it, it’s generally in terms of job loss due to AI and automation, the primary drivers of the Fourth Industrial Revolution. The urgency in 2019 comes from the fact that, to date, we have done more talking and less doing – and action is needed before we reach a global skills crisis. HR and business leaders have done little to prepare people for the future of work by systematically and intentionally reskilling and upskilling them. The future workforce is a blended one, with humans and machines working side by side. We cannot leave the future success of our businesses to chance, yet that is precisely what many organizations are doing by leaving reskilling entirely up to employees. We must ensure employees’ voices are heard throughout this daunting learning process, and every employee should contribute to defining their development paths, but not without guidance and support from their employers. The shift has to start with understanding a new hierarchy of needs for employees, in which we deeply understand their motivations and dreams and actively include them in their future performance development – all of which result in helping drive better performance for organizations. The third major force impacting our workplaces and workforces is the Internet of Things(IoT). The IoT manifests itself differently in the workplace compared with in our private lives, with our smart lights, thermostats, and connected kitchens. At work, we have new opportunities to create a highly connected and collaborative enterprise. With the IoT at work – smart work apps that might recognize when praise is given and record it, smart meeting spaces and wearable devices that pick up on stress and stressors – we can elevate the traditional employee and manager self-service models to completely new levels (at last) and transform the Digital Employee Experience into an insightful and interactive one. With data democratization that both fosters higher levels of trust between employees and employers while enabling people to make better and smarter decisions for the enterprise and themselves, organizational outcomes will improve. We must also be aware of and balance the ethics of capturing new kinds of interaction data and the flow of information that moves between and within the connected and collaborative enterprise in the era of boundary-less organizations. It will be crucial to ensure we respect how people work and honor their private data while helping them thrive. While these mega trends are not entirely new to the world of work and HR, they have certainly not been addressed to the extent they need to be to ensure our people can maximize their contributions to our organizations while achieving more meaningful levels of professional and personal growth and success. 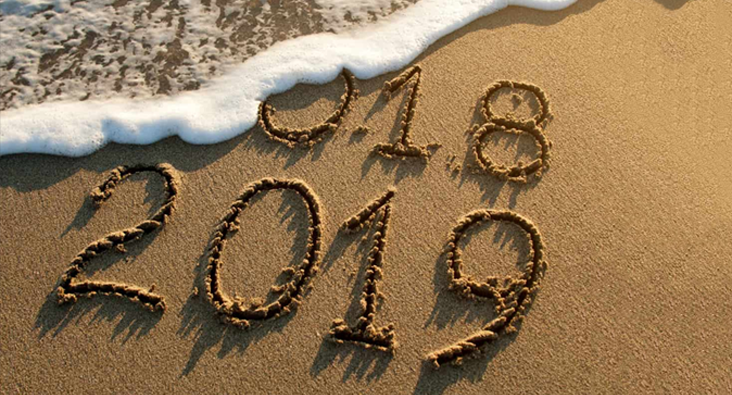 For the sake of our organizations and, above all, our people, let’s make 2019 the year that changes it all!